Purchased a HP 8711A some time ago to learn how to make better measurements. I've tried doing an OSL calibration with a 75ohms Agilent cal kit. 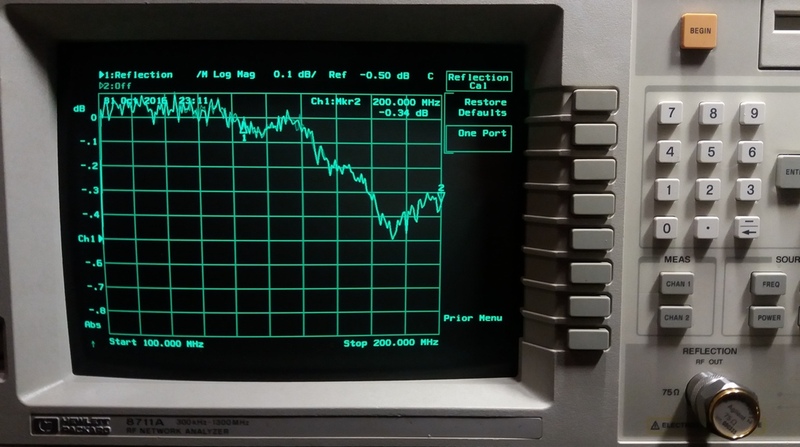 When reconnecting the short after succesful calibration, I would expect to have a return loss of 0dB across the whole calibrated frequency span. I know it's only .5dB, and this might be the limits of the hardware, but what I don't understand is that I can replicate this exact behaviour: after every calibration, RL of the short starts around 0dB in the beginning of the frequency span, and ends around .5dB. If these are measurement errors, I'd expect the outcome to change between different calibrations. Or am I wrong somewhere? Not the answer you're looking for? Browse other questions tagged measurement calibration or ask your own question.